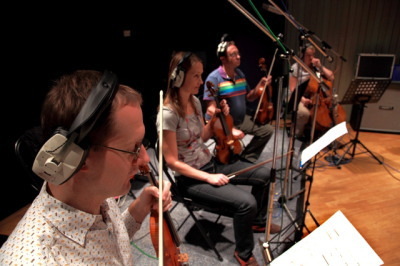 Violins - Hire an online violinist for recording sessions. For centuries the violin has proved to be one of the most versatile of all instruments of the string section, being used in practically everything from classical music, jazz, rock and pop through to bluegrass, country and folk. With a range of over four octaves starting from the G below middle C, a wide variety of bowing techniques and articulations, a session violinist can produce a wide variety of different sounds. Listen here to a solo violin, and an example of small violin section. The violin (or fiddle!) is equally at home as a powerful solo instrument, and in larger numbers as a full violin section. With the volume of players required to create a big orchestral sound, many producers working within the constraints of a budget often opt for high quality sampled strings. These can be realistic when scored intelligently by a string arranger who thinks like a string player, but can't recreate the presence of bow against string or the physical 'up and down bow' of a studio violin player. Samples can never imitate the complexity and subtlety of sound created by a live session musician or professional violin player. Sometimes a handful of strong string players are used on top of sampled strings, so that in the mix it can sound more convincing. Even so, for music of a more exposed nature where professional players are required, it is worth noting that if musicians are of sufficient quality, a relatively small number can still make an impressively large sound. Electric violins have been a recent innovation, but lack the sonority of the real thing. Whether you are looking to record an online violinist for a pop track or hire fiddle players for a folk track or want advice about recording a violin or violin section, one of the group will certainly be able to help you. All the session violinists in String section use real instruments - some several hundred years old - for the huge range of tone and colour they can produce. Vaughan Jones began learning the violin at the age of 8, later winning a music scholarship to Charterhouse School, then going on to study at Birmingham Conservatoire and the Royal College of Music in London. As a freelance player, Vaughan worked with various orchestras including the London Philharmonic, Royal Liverpool Philharmonic and Bournemouth Symphony Orchestras. He now arranges for strings, plays chamber music with his String Quartet, works as an online violinist and leads Stringsection in recording sessions. Vaughan is committed to exploring neglected chamber works from the 18th and 19th centuries. 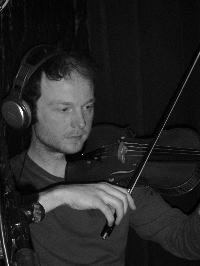 In 2007, Vaughan switched from an 18th century violin to a modern instrument handmade by Martin McClean of Northern Ireland. In 2011, Martin handmade a further instrument for Vaughan. Vaughan liked the new one very much, but he could not bear to sell the first one, so now he's got two! In 2008, Vaughan Jones and Reiad Chibah (viola) released a critically acclaimed disc of lesser known chamber works for Violin and Viola duo which has been broadcast on classical radio stations all over the world. In 2010 Vaughan released a disc with the Manor House String Quartet called 'I Saw Three Ships and other carols' which featured 23 of his original string arrangements and became a classical best seller, played extensively on classical radio stations all over the world. In 2011, he released a second volume of carols called 'It Came Upon the Midnight Clear and other carols' which was similarly well received. Vaughan has also composed and produced an album of relaxing orchestral music, scored for String Orchestra, harp, piano, flutes and oboes. It is called 'Music for Healing' and is available on itunes and amazon mp3. In 2012, he released a further relaxing album, designed to help babies and children sleep, called 'Little Star Lullabies'....again, this is written for orchestral instruments and the musicians of string section supply the string orchestra and soloists. In 2014, Vaughan released a disc of lesser known solo violin repertoire called 'The Hidden Violin', through First Hand Records. Louise was born in Cheltenham and studied at Trinity College of Music, London, winning many prizes and scholarships. 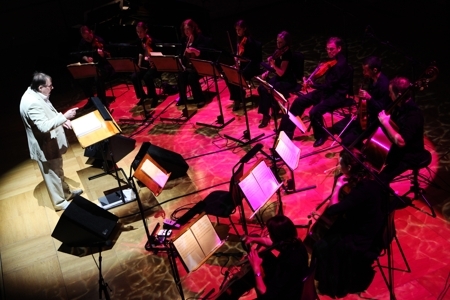 Solo performances include the Beethoven Concerto at Bournemouth Winter Gardens and 'The Lark Ascending' for BBC Radio 3. Louise freelances with a variety of Orchestras throughout the country including Bournemouth Symphony Orchestra, CBSO and Royal Philharmonic Orchestra. 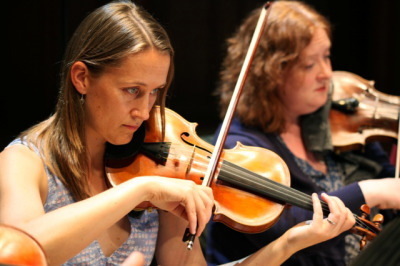 She regularly works with The Royal Shakespeare Company and the Manor House String Quartet. Louise also composes and arranges music and was invited to perform her 'Five Scandinavian Pieces' at the Dorset Composers' Festival in 2007. David studied violin, piano and composition at the Purcell School and the Royal College of Music in London. He became a member of the BBC Concert Orchestra at the age of 23 and has also played with the Royal Philharmonic, the orchestra of English National Ballet, the Halle Orchestra and worked extensively in both the UK and Europe. David has a wealth of experience in music for screen and has appeared on many commercial recordings. 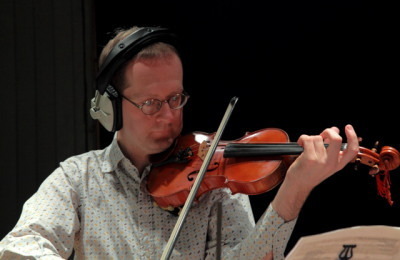 As an experienced composer and string arranger, he has worked on several TV commercials for companies including St Ivel, Jamesons, Eurostar and Lancia, so certainly knows how to record a violin. 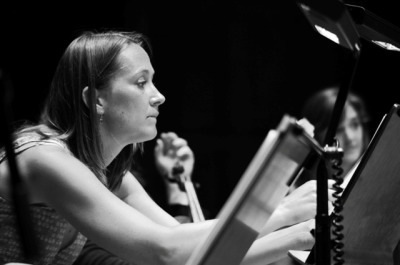 Gabrielle Painter has performed throughout Europe, Canada and the United States as soloist, chamber musician and Orchestral leader. Recent concerts include solo performances at the Royal Albert Hall, chamber music recitals with the Szabo Trio throughout Europe and broadcasts on Lyric FM. She has been guest artist at the Banff Centre of the Arts, London Festival of Chamber Music and numerous concert series and festivals. Gabrielle records regularly with the major symphony orchestras and has played on numerous albums and film soundtracks. Judith studied at RNCM (1995-1999) gaining a first class honours degree, later studying at the Juilliard school of music in New York with Dorothy Delay. She has played with the majority of the countries leading orchestras, often leading the orchestra or section. As a soloist, Judith has been involved in many recital series including the Barber Institute, the Walton Centenary, the Southwark Cathedral, Tanglewood Festival and Sunday Morning and Seiji Ozawa Hall with concerto performances around the world in Frankfurt, Japan and New York. In recent years, Judith has co-led the second violins of the City of Birmingham Symphony Orchestra and now sits as number five first violin in the Royal Philharmonic Orchestra.